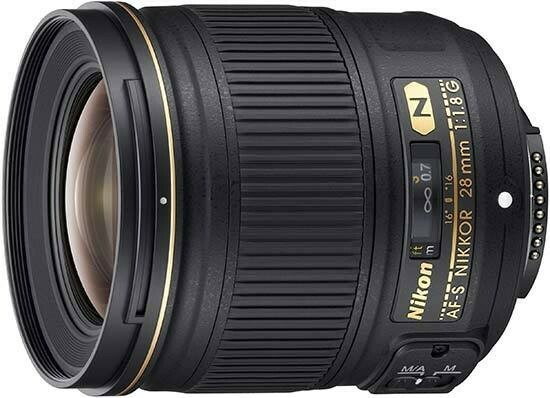 The Nikon AF-S Nikkor 28mm f/1.8G is a capable but quite pricey prime lens that will appeal most to landscape and architecture shooters who routinely stop their lenses down or those photographers looking for lovely out-of-focus bokeh effects from a wider-angle perspective. Build quality is very good, with the bonus of a weather-sealed mount, and the lens is long but not too heavy. Chromatic aberrations in particular are very well controlled, geometric distortion is impressively low for an ultrawide lens (unless you are focusing very close). The Nano Crystal Coat successfully prevents any contrast loss attributable to veiling flare, even if it cannot fully eliminate the kind of reflections that are inherent with ultrawide lenses. The only real optical issue is obvious corner shading at maximum aperture, but this is something every full-frame shooter has to put up with, especially when using wide angles. So if you can afford the rather hefty price-tag, we can definitely recommend the Nikon AF-S Nikkor 28mm f/1.8G as a surprisingly versatile prime lens for Nikon full-frame DSLR owners.